Music is important to me in the photography studio. Not only do I enjoy listening while working, it often helps my subjects relax or get inspired during a photo shoot. My audio system has to be hassle free, however. I'm already spending plenty time adjusting lighting and interacting with clients. I can't be fooling around with my sound system too. 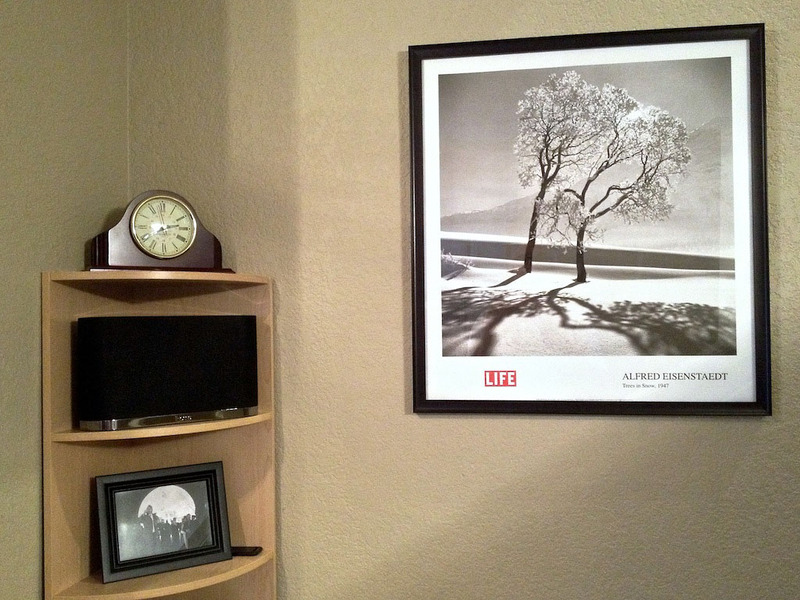 When I read about the iHome iW1 AirPlay Stereo Speaker System, I thought it might be a good fit for the studio. It has enough sound to fill a room, it's portable thanks to a rechargeable battery, and it interacts well with my AirPlay music library. The iW1 weighs 6 pounds and measures 317mm" W x 186mm" H x 94mm" D. It fits on most bookshelves and can be transported easily via its built-in handle. The rechargeable battery powers the unit for a full afternoon of music. The charging dock is easy to use -- you just set the iW1 on it, and charging begins. The iHome iW1 fits nicely on most bookshelves. Inside the unit are twin 1" tweeters and 3" woofers. Controls are located on the top of the unit, with others in back. But the included remote control gives you access to just about everything you need so you don't have to fool with the unit itself. You can also connect devices directly using the dock connector for iPhones and iPods, or the mini-stereo input jack. The iHome Connect App for the iPhone also makes set-up easy for the iW1. Just download the free app, connect the iPhone to the iW1 via the included dock connector cable, configure the unit, and disconnect the iPhone. You're now wireless. The iHome iW1 incorporates the Bongiovi Acoustics Digital Power Station. According to iHome, this "real-time digital signal processing that extends audio bandwidth and adds missing harmonics without adding peak output to the signal. It effectively improves brightness, clarity and presence and delivers deeper, more resonant bass and crystal clear highs." The Bongiovi system is on by default. Leave it on. When turned off the output is flat and not appealing. With the Bongiovi Acoustics system on, however, I like the output from the iW1. At medium sound levels I rate it as very good. If you crank it up all the way, you'll probably hear some distortion with the bass and the overall sound degrades a bit. This isn't a problem for me in the studio since I'm usually playing music at low to medium levels where the iW1 sounds terrific. 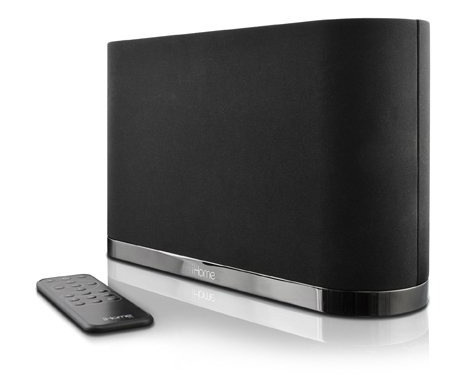 At $299, iHome iW1 AirPlay Stereo Speaker System, is a hardware investment. Much of what you're paying for is the convenience of built-in WiFi, AirPlay compatibility, easy app configuration, and portability with the rechargeable battery and easy grip handle. The physical design is also appealing. It looks great in the studio or at home. Discriminating ears might be disappointed with the sound when played at full volume. But for those who want a handsome, out of the box audio solution, with a good dose of technology fun, the iHome iW1 should be a satisfying investment.